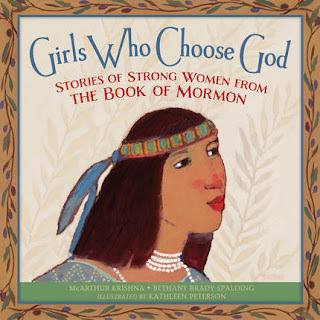 I've often wondered about why there aren't any stories about faithful, and strong, women in the Book of Mormon. If there were stories, I had definitely missed them. It didn't bother me too much because the Book of Mormon is an incredible story regardless. Being a woman though, I would love to know more about the women in those days. I got incredibly lucky in my search for these stories when a woman contacted me and asked if I would be interested in reviewing her new book. When she told me that it was about women in the Book of Mormon, I jumped at the chance. I couldn't believe that someone had not only found these stories, but actually wrote a book about them as well. I was ecstatic! The best part about this book though, is that it's for all ages of girls, and women. The "Girls Who Choose God" books are based on the stories of some of the most courageous women that have ever walked this earth. It helps younger girls connect with these women, that we know so little about. Each new story begins with the most beautiful artwork you've ever seen. Even if you can't read, this book would touch your heart because of the breathtaking pictures. Little girls will love the pictures, teenagers will love the short stories, and moms will love reading their daughters these stories because they are still so relevant in today's society. We as women will find strength, and gratitude, for the women that walked our path long before we ever came to earth. They paved the way for us, so we would know the type of women we should be. Each story is filled with courage, grace, compassion, service, and love. These women put everyone else before themselves, and because of that, God blessed them during their lives. 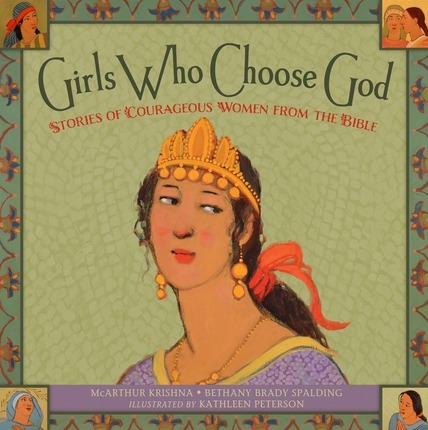 I would highly recommend getting this book if you have daughters, grand daughters, or nieces. Every girl/woman in your life will treasure these books. I know this because each of my nieces got them from me for Christmas. They've all told me how much they love them. I can't wait to have my own daughter to read these to one day. When you purchase these books, you will learn all about the amazing strength of the women in the bible as well as the book of Mormon. I highly suggest getting both. You won't regret it. They have definitely become some of my most favorite books. To purchase these books, or to simply learn a little more about them click here.